I can’t seem to access the password protected share from Windows. 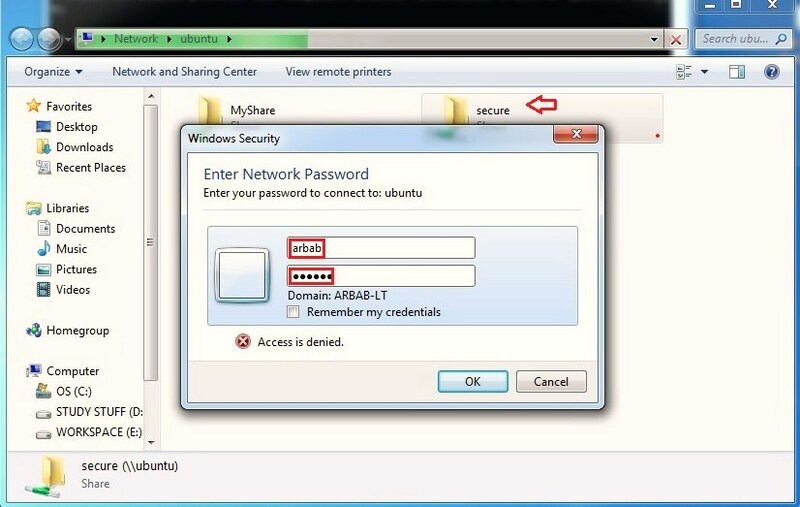 The guest share is working fine but when I enter my samba username and password I get an error message in Windows. Any suggestions? 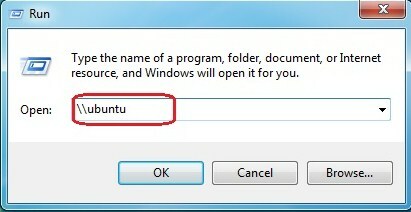 Erik, are you using the same username as you are using on windows system? 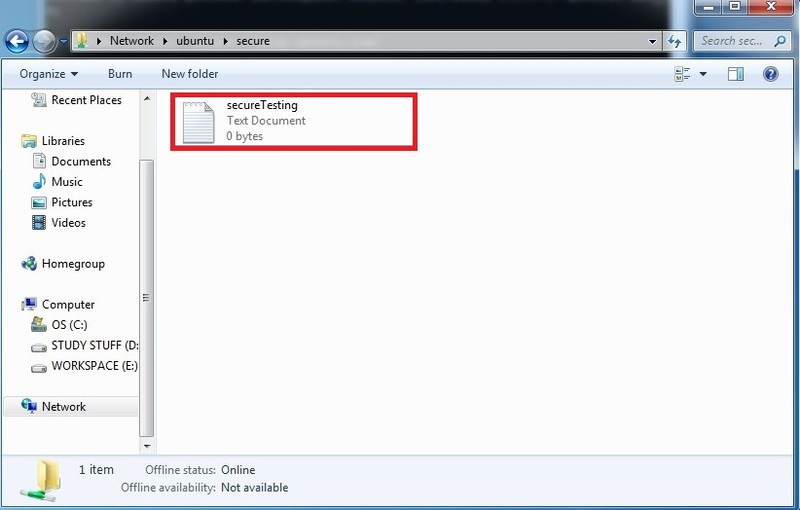 for example, you have Erik account on your windows machine and you have created the same account on samba? Because, I had the same problem, when i was using the same account on both! I was clicking use another account and then typing in the administrator account which I had created a samba password for on the server but it wouldn’t let me in. However I managed to fix it by changing security = user to security = share. Hello, all steps worked without a problem, I’m new to Linux and this tutorial was perfect 🙂 Thank you very much! I can’t seem to get through the \\Ubuntu step on the windows computer. Is there soemthing that I’m missing? Can you tell me the error that you are getting? If you can’t find it on your system then most probably you didn’t create it, so create it and then set a permission on it. 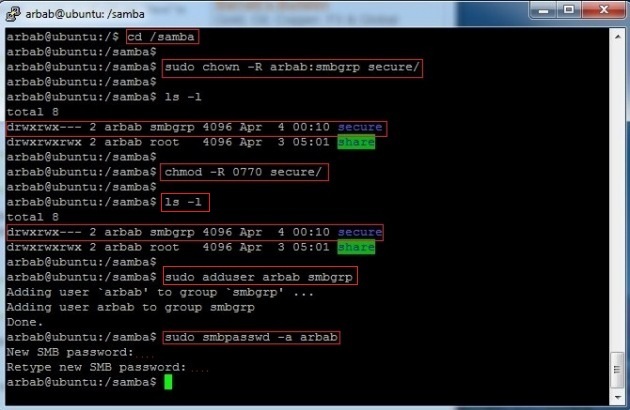 One more thing that there is difference between SAMBA and samba in linux world! 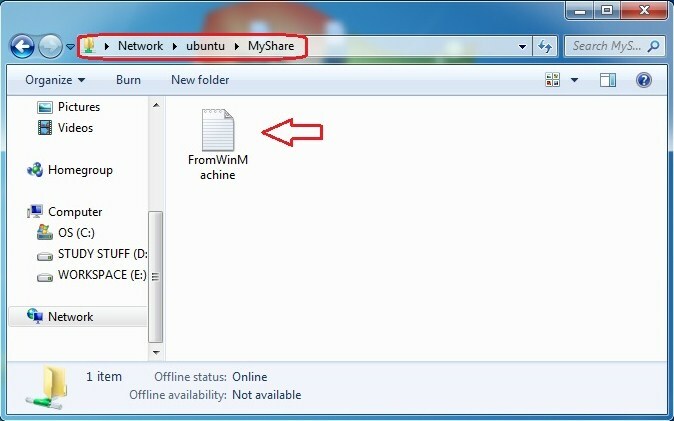 i found it a best solution for samba sharing. thank you very much for your best suggestion. Thank you so much for this tutorial! I am new to using Linux as a file share/server, and have been going nuts for days trying to get Win7, WinXP, and Ubuntu to all play nice. 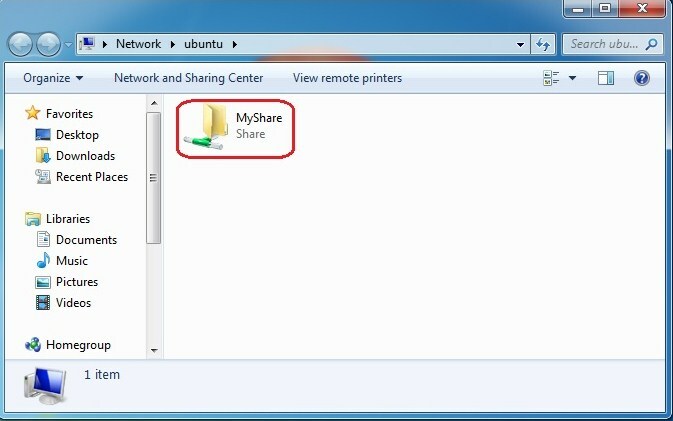 Thanks to you, I just got the Ubuntu file share working, and can transfer files at the full network speed. Awesome! This is a great tutorial. The best found over the net so far. Thank you very much, it helped me a big deal. I am having the same problem. in my case the system says that the directory doesn’t exist (I have tried both etc/ and not. did you create the share directory? Note, this example is not secure – you should never chmod 777 your web pages folder! But I used this in my setup and it’s OK because I don’t get a lot of web traffic. 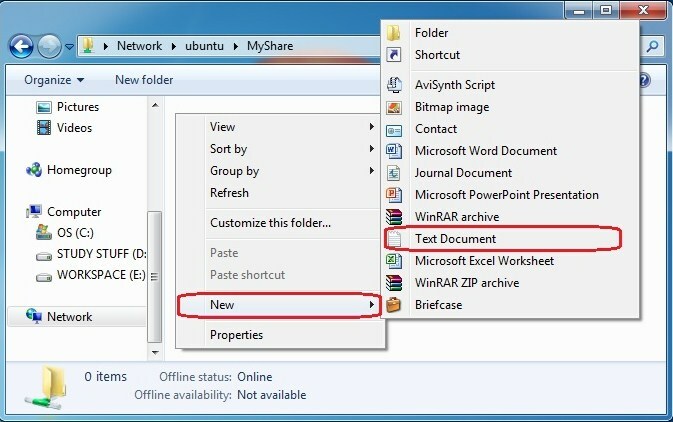 Create a folder that you want to share files in – you don’t necessarily have to call it “Share” as in the example above. 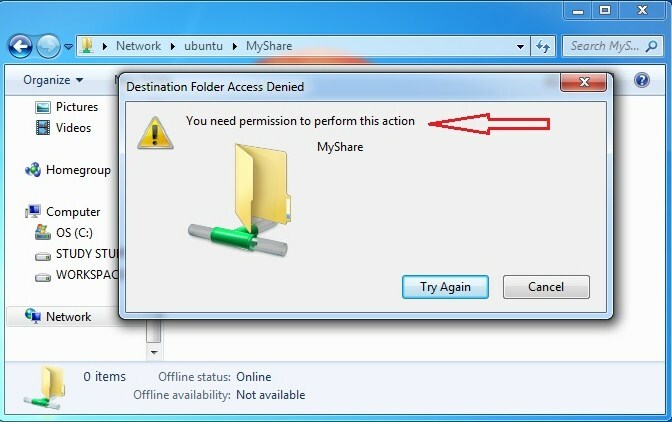 Failed to open “Share”. Invalid argument. 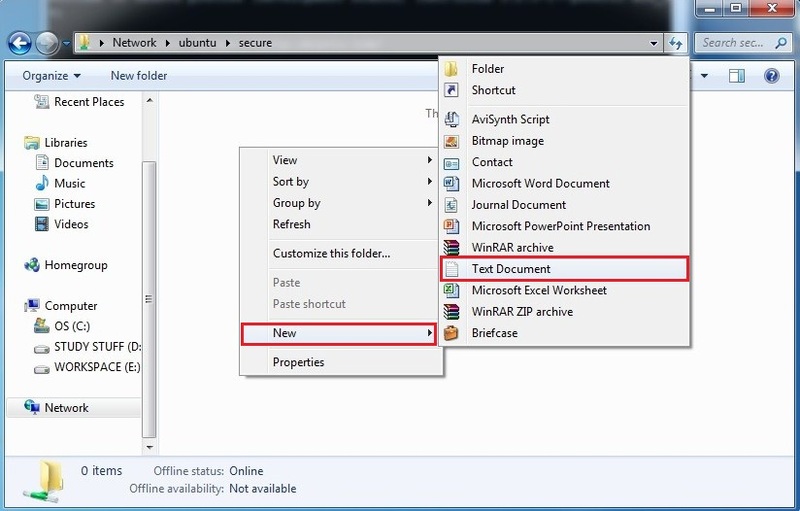 This is solution for anyone was denied to enter ‘secure folder’ in Win 7 after put correct username & password. For Win 7 and Win 8, you have to enter username & password, then it will denied you. Dont worry, you have to restart first you windows. And try back after that. U will require to put username & password same as before, but for the second time, it will pass grant to you direct to your secure folder. Thanks Rbgeek for this great & easiest tutorial ever about samba server! 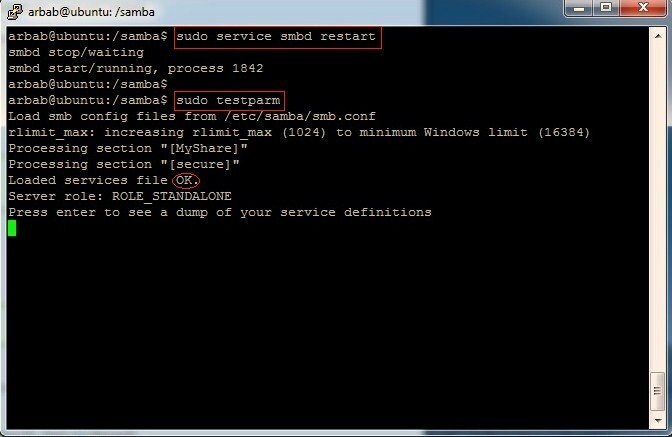 I want to use samba as the domain controller to windows machines (xp/win 7). Is this enough? Do I need to do anything at windows side to set up user id/access policy etc. 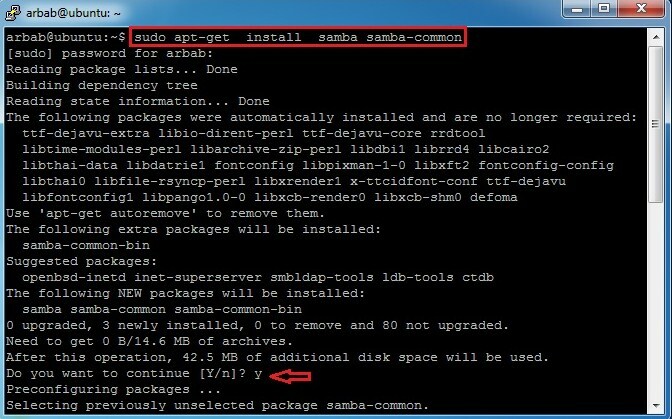 When I want to install GUI it shows me a message: “E: unable to locate package system-config-samba” Does anyone know how to solve it? Thanks rbgeek and may God Bless You indeed. For the path to work make sure u create those directories if they are not yet created.